"Her impatience for this second letter was as well rewarded as impatience generally is." While unpacking boxes this week for what will soon be my writing room (very exciting even if the room shouldn't make much difference), I found a sleeve of stamps. Some have flags on them, others have illustrations of journalists, and one has a drawing of a kestrel. But I've got no use for stamps now. I write letters through email. Our bills are paid online. If I must mail something, I take it to the post office where they print out a sticker with the postage paid. It's all very convenient. Emails can be really lovely--they are made up of words after all. A few of the most treasured letters I'll ever receive have been through email, and a single paragraph in an email I got recently put all my prose to shame. But there's something about a handwritten letter too. Call me romantic, but with paper and ink, there's the wait. There's the slant of each word. The smell of the paper. The time the author put into writing and stamping and walking to the mailbox and putting up the flag. The opening of the box to find your name and the expectation of what's inside. There's the possibility for mistakes. And the permanence. I don't mean permanence in time. An electronic letter can obviously outlast paper. I mean the permanence of ink dyeing fibers. Just think--what makes Pride and Prejudice so excruciating? Tension. It's all that damned TIME spent waiting and wondering and regretting and hoping in the midst of clever dialog. Even in the BBC version, I'm thinking, "Get ON with it!" It's the most wonderful anxiety. But I'm sure someone has rewritten the story by now--Wickham is quickly recognized as the player he is when the Bennet sisters see all the chesty women posting notes on his Myspace profile. Lydia is easily found because she's constantly checking into her locations on Facebook from her phone (a real disaster since those two truly deserve each other). Pemberley has a virtual tour online, so no need for Elizabeth to visit. (I know you're thinking of the lake scene from the movie. Shame on you.) The hope of something to come between Lizzy and Darcy, and the fear it never will, is settled with a quick text. How everlastingly boring it all sounds. Though I don't doubt her skill, and I'm sure she'd be up for the challenge, the story just wouldn't be the same without all that waiting and all those letters and the time it took them to reach their destinations. I'm glad Jane was born in the late 17s instead of the 80s. I don't think I could bear the story otherwise. 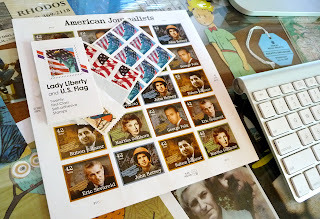 And so, in honor of dear Jane, I shall use up my sleeve of stamps on a few of my favorite people. Till then, some letter-writing quotes from the book. "Soon after their return, a letter was delivered to Miss Bennet; it came from Netherfield. 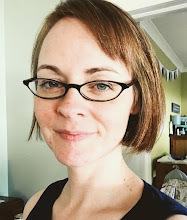 The envelope contained a sheet of elegant, little, hot-pressed paper, well covered with a lady's fair, flowing hand; and Elizabeth saw her sister's countenance change as she read it." "With no expectation of pleasure, but with the strongest curiosity, Elizabeth opened the letter, and, to her still increasing wonder, perceived an envelope containing two sheets of letter-paper, written quite through, in a very close hand. The envelope itself was likewise full . . . Mr. Darcy's letter she was in a fair way of soon knowing by heart." "Since writing the above, dearest Lizzy, something has occurred of a most unexpected and serious nature; but I am afraid of alarming you--be assured that we are all well. What I have to say relates to poor Lydia." "Every day at Longbourn was now a day of anxiety; but the most anxious part of each was when the post was expected. The arrival of letters was the grand object of every morning's impatience. Through letters, whatever of good or bad was to be told would be communicated." "Darcy mentioned his letter. 'Did it,' said he, 'did it soon make you think better of me? Did you, on reading it, give any credit to its contents?' She explained what its effect on her had been, and how gradually all her former prejudices had been removed." "But think no more of the letter. The feelings of the person who wrote, and the person who received it, are now so widely different from what they were then, that every unpleasant circumstance attending it ought to be forgotten. You must learn some of my philosophy. Think only of the past as its remembrance gives you pleasure." "Dear Sir, I must trouble you once more for congratulations. Elizabeth will soon be the wife of Mr. Darcy. Console Lady Catherine as well as you can. But, if I were you, I would stand by the nephew. He has more to give. Yours sincerely, etc."